Travel; It throws up such amazing opportunities, sights, experiences. I have had a fascinating drive from Bhopal, through forests, fields, sheets of Deccan rock. Across the Narbada and Tawa rivers with their amazingly structured stone beds. Old, polished, huge formations so typical of this ancient geological area. Now I sit watching a spectacular sunset on the banks of the Denwa river. 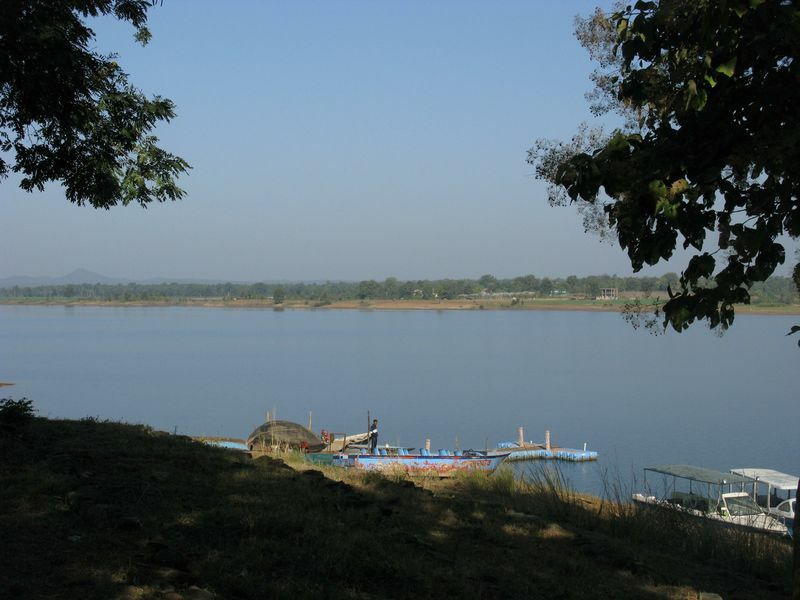 Across the river are the ranges of the Satpura national park. 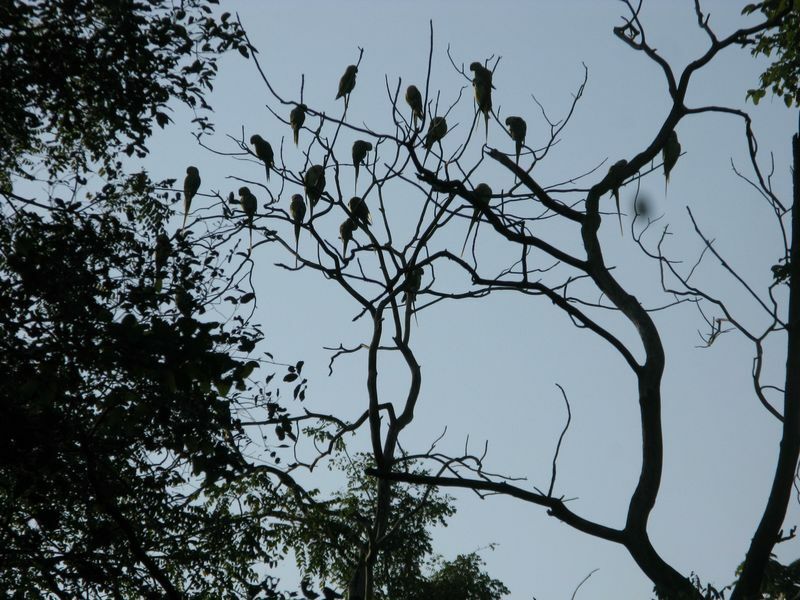 There is the noisome silence of the jungle; a coucal call, parakeets flying home to roost, a pair of black ibis and now the cicadas. Tomorrow I will cross the river and wander the jungle. For now…a cold beer, starlight on the water and golden lanterns. I am at a newly opened lodge of the Pugdundee Safari company. It is a beautifully located property and has been very tastefully put together. All their scattered cottages have views of the water and are luxuriously comfortable. I think their speciality is the people, staff are all local, smiling and helpful. The most important are the wonderful naturalists. Young people that have a passion for and understanding of the jungle, which they empart with such enthusiasm. I woke to moonlight through my window, drove bundled up to the river and got onto the boat under a dulling moon and a pinking sky all reflecting on the flat calm of early morning water. We were the only people in the park. Pradyot my natralist from the Denwa camp, the forest guide and driver. Us and the waking animals. Almost immediately we saw a black buck only to discover he is tame at the forest bungalow, comes asking for treats. But we stopped soon after blocked by a large tusker who’s mahout had spotted a bear. Still sleeping, so we waited and she soon woke up and as she began to move we saw her little cub behind her. We watched them feed and move around for a good half hour before other jeeps appeared and we left. It was a lovely morning in the forest, myriad birds, sambar, Cheetal and muntjacs. Two huge Gaurs a whole herd of boar on a kill. The teak trees shedding skeletal leaves, ebony(tendu), cork and mahua(that makes some very potent liquor). All detailed to me by both Pradyot and the forest guide. This is a place to spend time in. 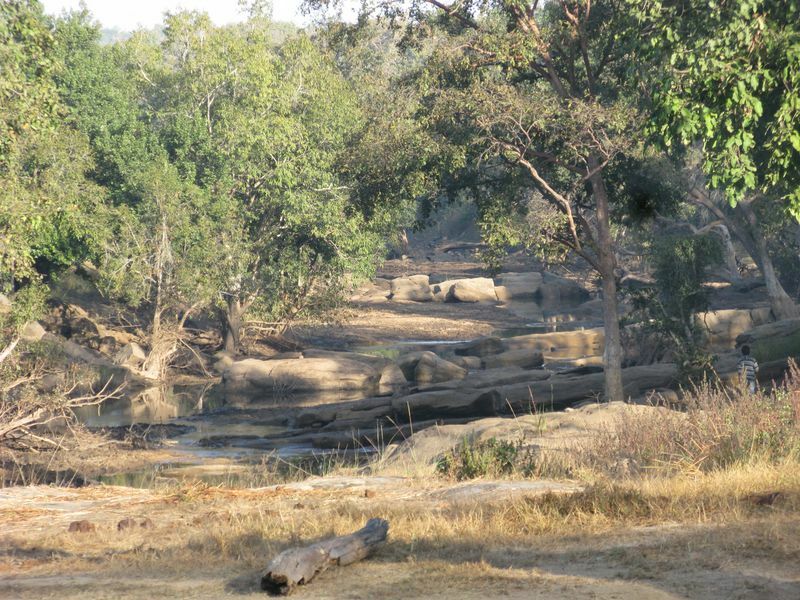 It’s a park that offers walking safaris, boat rides on the river to see the birds, elephant safaris, all in a forest where the hoards have not arrived. As always I thank the magic of my life that takes me to special places. 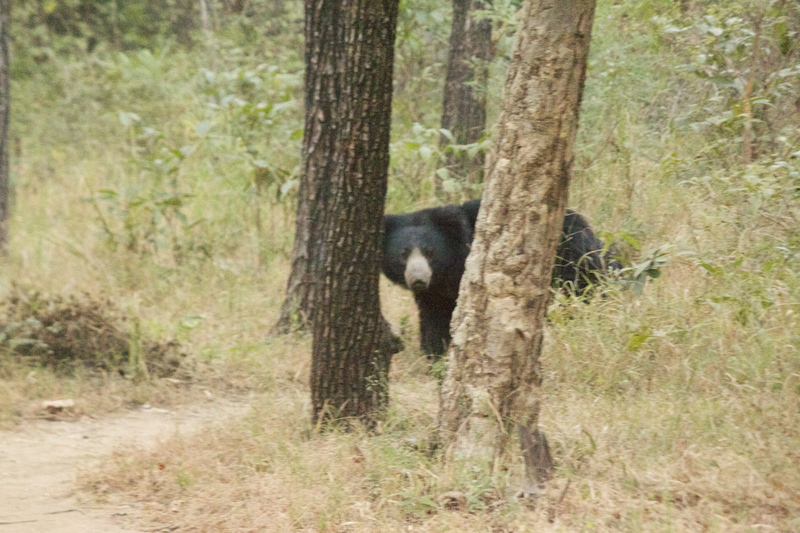 Photo credits for the bear and eagle go to Pradyot Rana. Out of the late running train window I see my favourite sight; fields of yellow mustard and new, green wheat; the sparkle of a tube well spout; egrets amongst the elephant grass and misty trees in the distance, all bathed in the muted gold of the early sun. It’s a sight that tugs at some indescribable spot and creates a yearning for what? I have yet to fathom. Is it just homesickness or the wandering urge that it regenerates. Or those magical mornings in camp, when all of this felt like it was mine to hold forever. Or some ancient memory when perhaps I walked master of my fields in feudal splendour. Whatever it is, it pulls at me and the desire to step of the train and walk away into those fields, muddy myself helping channel the flowing water, then stand under its chill blast to wash off, is overwhelming. A chai on a charpoy, sweetened with fresh gurh. Hear the birds and feel the growing things, become earthed.